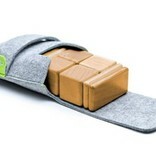 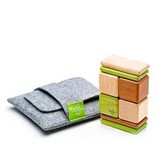 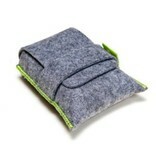 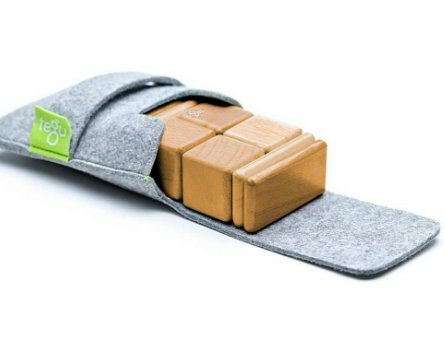 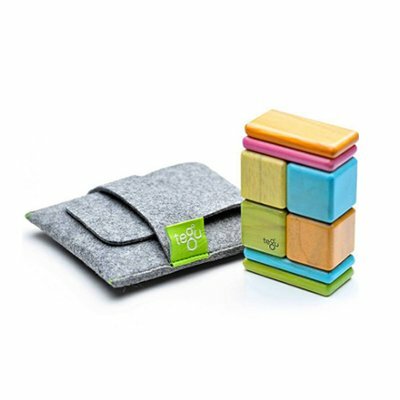 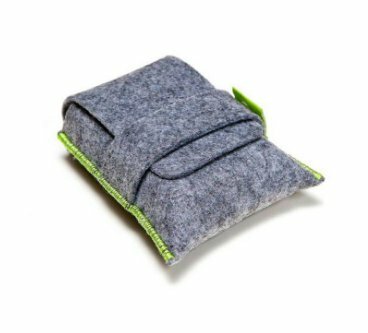 Magnetic wooden blocks in a handy felt pouch. 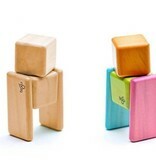 Includes 4 rectangles and 4 cubes. 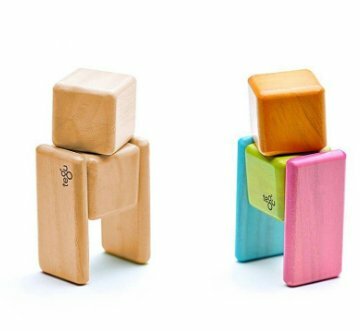 Keeps kids busy and engaged on the go. 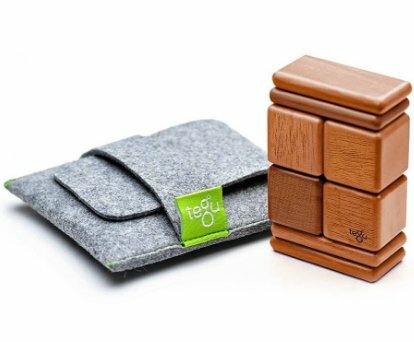 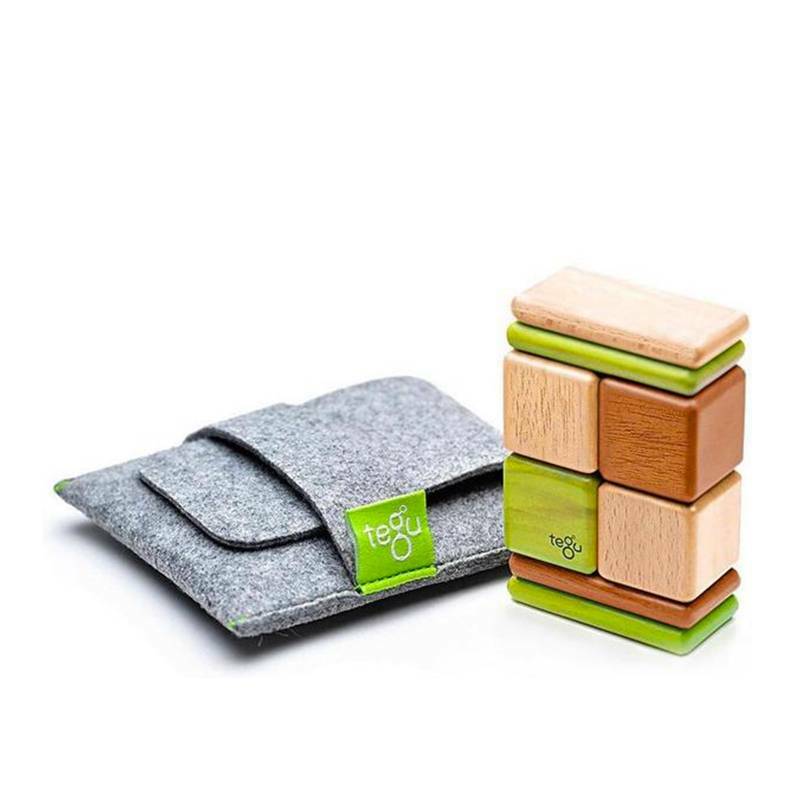 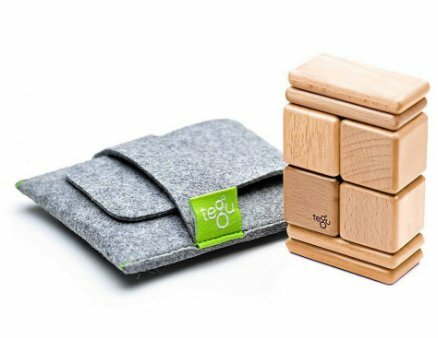 Compatible with all other Tegu products. 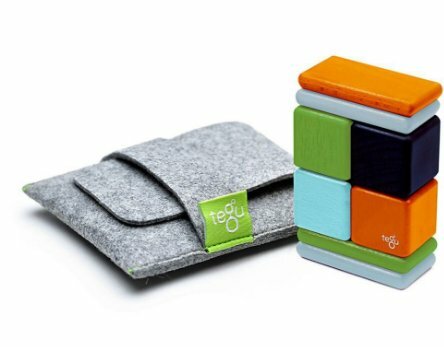 Magnetic blocks connect with a satisfying snap. 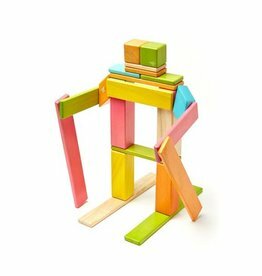 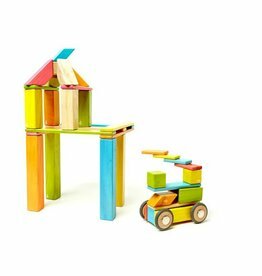 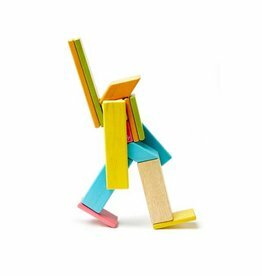 Discover and build with magnetic wooden blocks.